Black 47 DVD and Blu-ray release date was set for February 5, 2019 and available on Digital HD from Amazon Video and iTunes on September 28, 2018. 1847 was one of the worst years in the history of Ireland, when famine, chaos, and violence caused thousands of Irish to flee the country. Against this background, an Irish veteran returns home to find his family starving and evicted from their home. He makes plans to take them to America. But before he can, he becomes embroiled in an increasingly violent struggle with the Anglo-Irish authorities who oppress and exploit the native Irish population. 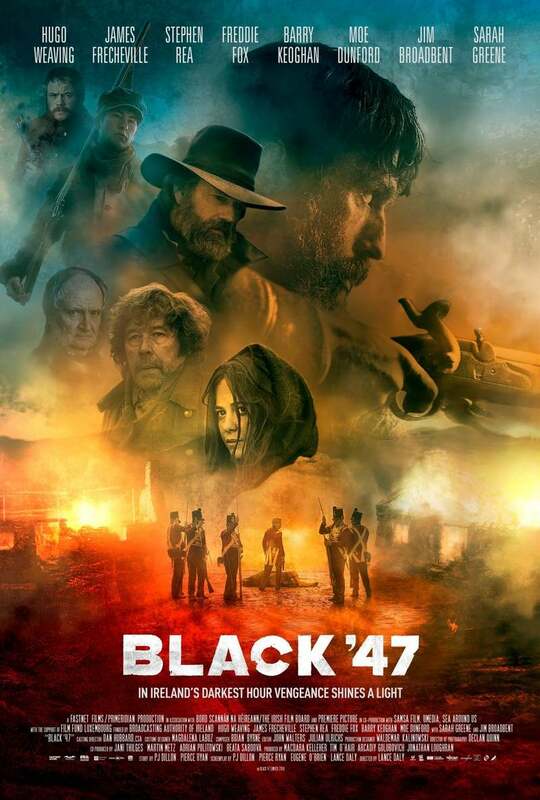 DVDs Release Dates is the best source to find out when does Black 47 come out on DVD and Blu-ray. Dates do change so check back often as the release approaches.